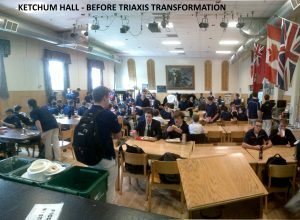 The Dining Hall at Royal St. George’s College re-opened this month with a new state-of-the-art kitchen facility offering healthy new menu options for staff and students of this well-respected independent school located in the Annex neighbourhood in downtown Toronto. 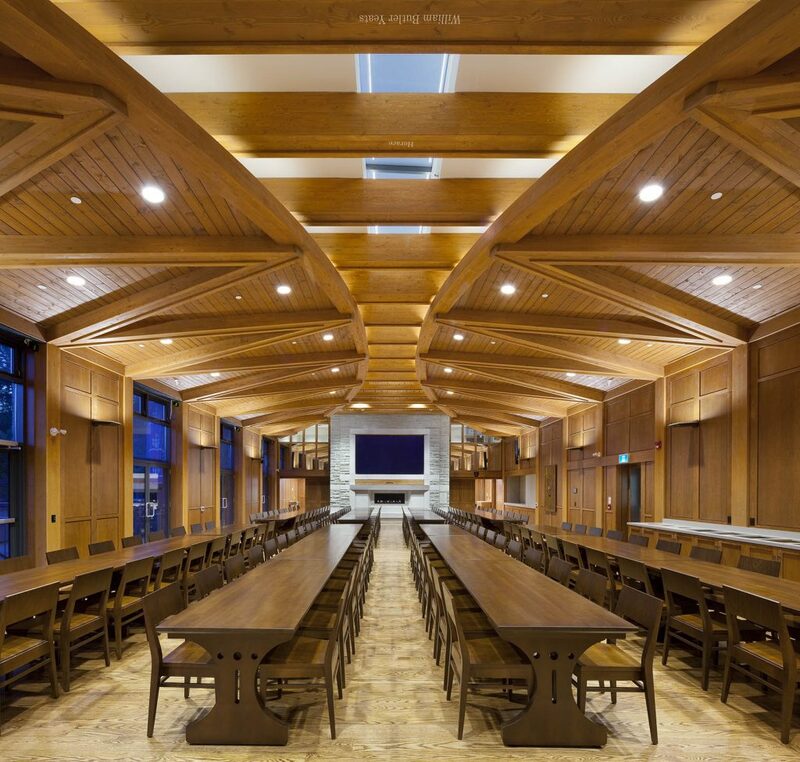 Last summer, we built the spectacular new Dining Hall in Ketchum Hall, designed by renown architect Tye Farrow, which included large new window openings, full length skylight, majestic limestone fireplace, full height wood wall panelling, oak hardwood floors and custom wood ceiling. This summer, we completed Phase 2 of the three phase project consisting of the new kitchen, new Junior School lobby and upgraded classrooms. Shortly, we will be starting the planning for the final phase of the project to start construction in 2018 which will focus on the lower level common area, classroom renovations, and improved accessibility. TriAxis is very proud to be the construction manager for RSGC where we have been transforming this amazing urban campus with exciting new projects every year for the past 9 years with a total construction value of over $12 million. After looking at the photo taken before our work, it’s incredible that this amazing transformation was even possible in this small space ! !